Traveling abroad? This inexpensive health insurance plan can provide peace of mind for travelers from all three U-M campuses. U-M contracts with GeoBlue, a leader in international travel health insurance, to provide this coverage. Three plans are available, and your plan will depend purpose for travel. For questions, you may email UHS-mancare-stuins@med.umich.edu. Benefits are listed in this section as well as at Political and Natural Disaster Evacuation below. Plan may be extended to cover leisure activities before and after your University-related trip. Plan may be purchased for spouses / domestic partners and dependents traveling with the covered student. 1. Choose your purpose for travel, as described above. For questions, you may email UHS-mancare-stuins@med.umich.edu. 2. Register your trip with the U-M Travel Registry. 3. After you have registered your travel at U-M Travel Registry, you can enroll and purchase the insurance by following these instructions. 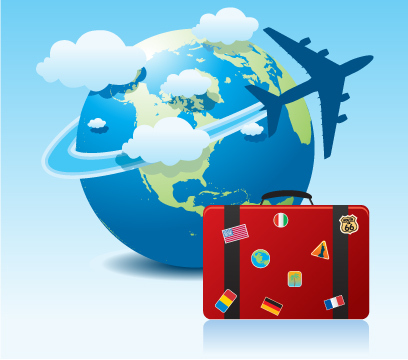 Plan may be purchased for spouses / domestic partners and dependents traveling with the covered individual. 3. After you have registered your travel at U-M Travel Registry, you can enroll and purchase the insurance by following these instructions. Payment is due at time of enrollment. Go to GeoBlue website and click on University of Michigan. This plan covers for up to 180 days. If you need longer coverage, contact Managed Care/Student Insurance Office. Cost: No cost, plan automatically covers you; you do not need to purchase. Register your trip with the U-M Travel Registry. Sign-in on the GeoBlue website and enter Group Access Code QHE99999UMBT​. This will allow you to access information about medical care at your destinations and more. Please note: If you have previously signed in to GeoBlue using the Group Access Code, you may need to log in at the top right corner of the page at “Login as a member." Coverage will begin on the date requested on the online enrollment form. Coverage is effective 24 hours a day, worldwide. 2) Enroll and purchase the insurance via the link to the GeoBlue website in your confirmation email and M-Compass Registration Checklist page. Payment is due at time of enrollment. 1. Update your trip through U-M Travel Registry. 2. Enroll and purchase the insurance via the link to the GeoBlue website on the last page. Payment is due at time of enrollment. Whenever possible, you should contact GeoBlue Worldwide Assistance in advance. In a non-emergency, Worldwide Assistance will assist you in making appointments as long as contact them first, and whenever possible, Worldwide Assistance will pay the medical provider directly. In an emergency, seek appropriate medical care first, then call Worldwide Assistance for immediate assistance. If you require medical evacuation, you must contact Worldwide Assistance in advance or your evacuation will not be eligible for reimbursement. When you show your Medical Insurance ID card, doctors and hospitals usually send GeoBlue a bill for services that received abroad. Sometimes a doctor or a health care facility may ask you to pay the bill, or you may need to file a claim for prescription medication. In these cases ask the doctor, hospital or pharmacy for a copy of the bill and a receipt for your payment. You will need these documents to allow GeoBlue to reimburse you. To request reimbursement, you must submit a claim form. Please request a claim form by contacting the UHS Managed Care/Student Insurance Office. Political and natural disaster (P/ND) evacuation assistance is available in many but not all countries for U-M faculty, staff, students and their eligible accompanying dependents. To receive this support, travelers must be eligible for the U-M GeoBlue international health insurance plan, must Register their Travel and meet other special conditions outlined below. This support is not always available for personal/leisure travelers as outlined below. While this support is provided in most locations throughout the world, it is not available in some locations, and in some others pre-approval from the security firm is required. See Warning / Restriction Locations; the pre-approval process is initiated by Registering Travel at least 3 weeks prior to departure. Pre-approval will only be sought for travel that is for urgent and compelling reasons, and pre-approval will require the traveler to complete a safety plan and sign a waiver of liability. Pre-approval will not be sought for personal/leisure travel, so personal/leisure travel to these exception destinations is without evacuation support from the U-M.
After you enroll, download the GeoBlue app from your app store, then log in with infomation in the confirmation email you receive. Access issued guarantees of payment to view and share with doctors and hospitals. Display an ID Card on a smart phone and email/fax a copy directly to provider’s office. View country or city profiles on crime, terrorism and natural disasters.